Environment | A&R Janitorial Service, Inc. The Green building movement is the single most significant influence on our industry today… and A&R is right at the forefront of the movement. 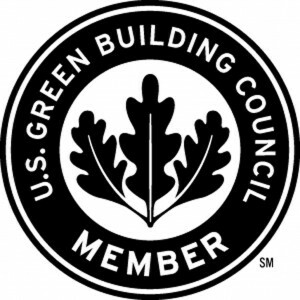 Our Environmental Policy is designed to help buildings attain LEED certification and can be tailored to meet the needs of any facility. Our chemical line is engineered from the ground up to “go beyond Green” in terms of performance and compliance to help our customers earn maximum certification points without sacrificing cleaning performance. Our equipment line is designed to reduce or even eliminate the use of chemicals. Innovative cleaning technology allows us to clean floors with nothing other than ordinary water. Our low-moisture carpet cleaning leaves carpet clean and ready for traffic in as little as 20 minutes. Through partnerships with local recycling and supply companies, A&R can help reduce the carbon footprint of the supply chain for our customers. Imagine today’s paper in a recycling bin, returning to the facility as tomorrow’s hand towels.